Nothing gets into Saferoom…but you. Protecting your client and their assets is our priority. Your client’s important collections are safe and secure when stored in a Saferoom. Valuables – including guns, fine wines, cash and confidential information – can be safely stored in a custom-designed Saferoom. 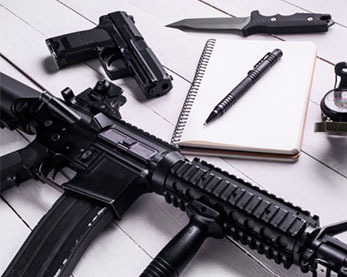 Firearms, ammunition, and reloading equipment can be safely kept out of harm’s way in a room accessible only to your client. Completely concealed or on display, Saferoom sets the standard when it comes to custom, reliable protection and storage. 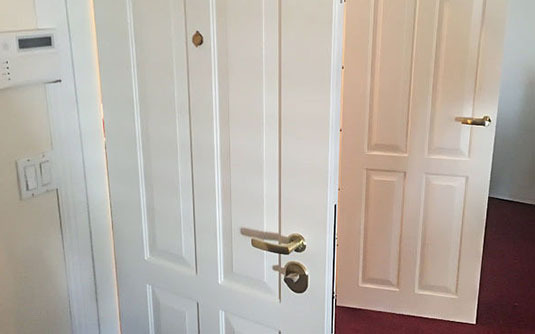 No one gets into Saferoom but your client. Saferoom provides asset and personal protection for security consultants and their clients. The custom-design of Saferooms allow for the complete protection of your clients if threatened by violence or intrusion. Because Saferooms can be fit exactly to your client’s space, Saferooms are not visible from the inside or the outside, and are completely bullet-resistant. Quick and easy access via security automation systems, keypads, biometrics and more are made possible by the use of electromagnetic locks or electronically activated mechanical locks. Using the existing architecture and design of a room, a Saferoom can be concealed in any setting. Your clients will be protected and comfortable in a Saferoom until help arrives. 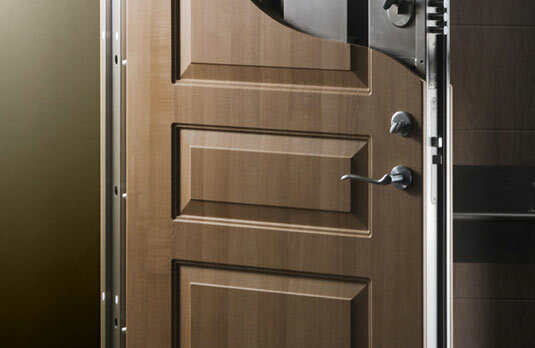 The most important part of any Saferoom is the door – and Saferoom sets the global standard for secure doors. The highest quality tube or folded steel is used to construct the door frame, then reinforced with steel bolts to withstand extreme impact. The door is concealed within fine trim details to blend into the existing space. The ability to seal off entire sections of your office building is made possible by power assisted opening and closing with optional remote operation. 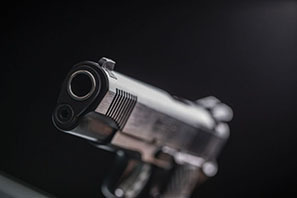 Occupants and inventory can be quickly separated from an intrusion or threat of violence by on-site security personnel or automated security systems. 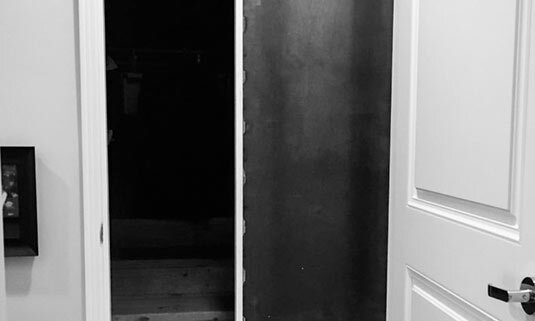 Because they can be easily hidden from sight and offer the best entry resistance, Saferoom’s sliding pocket doors are the most requested installation from security consultants that we offer. The minimal footprint these doors create presents less of an opportunity for something to get caught in the door during entry. The door is prepared to engage at any moment due to the electromagnetic locks remaining energized at all times. A coded keypad is the only outside way to access the Saferoom when locked. Additional automation is available and allows easy one button exit as well as a silent security alert inside of the room. 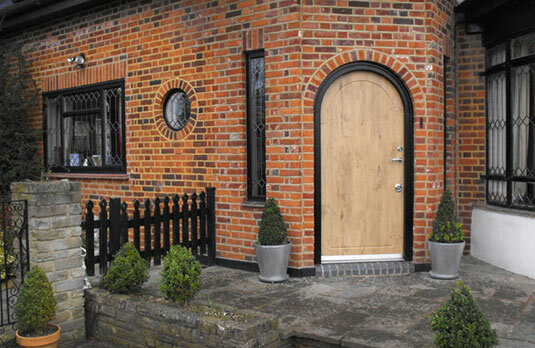 A pocket door cannot be integrated into all areas. 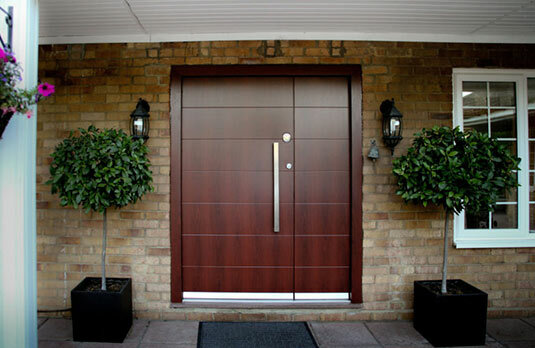 In these cases, a Saferoom swing door is recommended. Can be customized to match existing raised panels or other custom doors in your workplace. 3/16-inch steel is used and the door is constructed with reinforced ballistic paneling or glazing. 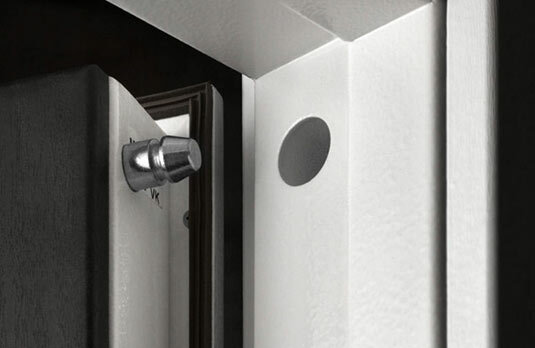 Roton hinges or reinforced hinges are used for installation, with additional fire pins for maximum durability, strength, and high-level security. All Saferoom systems are custom designed to meet the specifications of your client’s project. Contact us to discuss what you need and obtain a quote. Your privacy is guaranteed with us. Prices are FOB* Grants Pass, Oregon and apply to standard sizes. Construction and installation excluded. *Seller is responsible for transportation of goods to the port of shipment and the cost of loading. Buyer assumes the costs of ocean freight, insurance, unloading and transportation from the arrival port to final destination. Seller passes the risk to buyer when the goods are loaded at the originating port.